We are sending off 2018 with a big hug, and starting 2019 with a recap of our Top 10 most loved (and most delicious) Keto recipes on Instagram. If you aren’t yet following us on Instagram, that’s where all the fun stuff happens first, and we’d love to see you there! In addition to these Keto favorites, there are many more on our blog which you can search by keyword or category. Also, many of this year's Top 10 Vegan and Top 10 Paleo recipes are Keto too (and always always Gluten Free). The following recipes are no-bake & minutes to make. Just click a link below to view YOUR favorite. Mix all of the Keto Ball ingredients together in a medium size bowl. Roll mixture into bite sized balls - Makes 12 to 24. 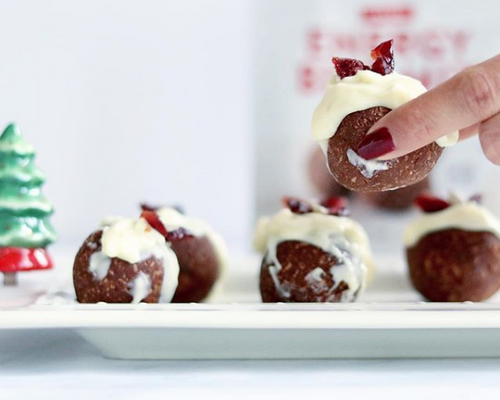 Mix "frosting" ingredients together and top your Christmas Keto Balls! With a fork, mix all in a medium-sized container. With your hands, roll 24 bite-sized balls (or use a small ice cream scooper/ baller). Combine all ingredients, except the blueberries, in a mixing bowl. Fill 20 unbleached mini muffin cups. Top with blueberries. Let them set in the freezer for about 20 minutes before eating. 10. 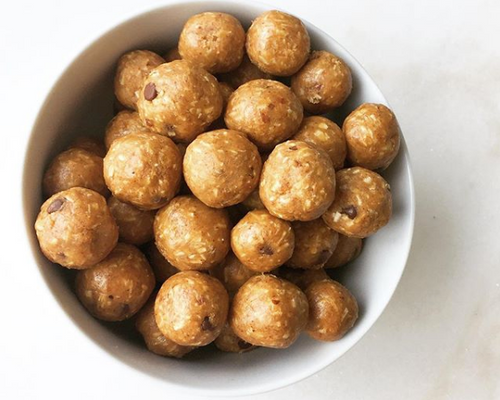 POPSUGAR Fitness "Keto snacks you have to get your hands on"
We hope you enjoy these Keto recipes for many years to come, and keep checking back for new recipes too!